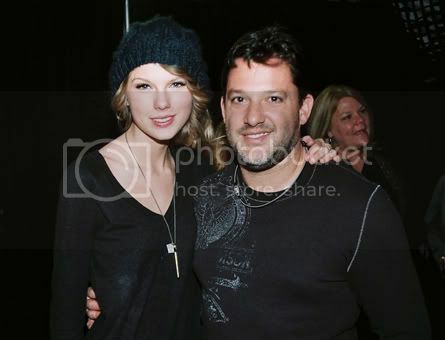 There's only two photos, but anytime I see a pairing like Tony Stewart and Taylor Swift being photographed together I just have to share. Is it just me or is seeing the two of them together a bit odd? Probably just me. I threw in some pics of Taylor performing at the Consumer Electronics Show in Las Vegas last week because nothing says rock n' roll like consumer electronics.